Victoria, Conrad, Daniel and Charlotte put on a united front on Revenge. "Confidence" airs October 14, 2012. Victoria and Emily come face to face on Revenge. "Confidence" airs October 14, 2012. 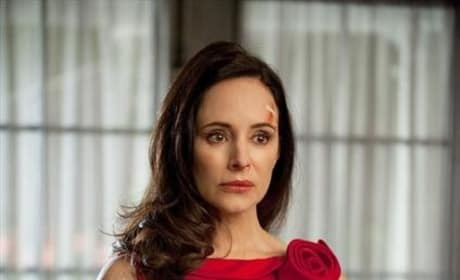 Madeleine Stowe as Victoria Grayson on Revenge. "Confidence" airs October 14, 2012. 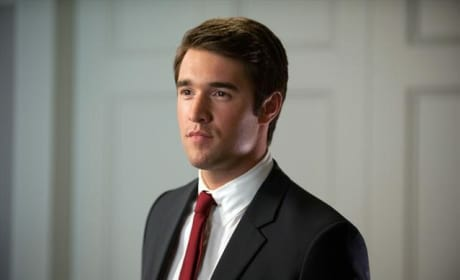 Joshua Bowman as Daniel Grayson on Revenge. "Confidence" airs October 14, 2012. Emily delivers a blow to the back of Aiden's head on Revenge. Never turn your back on this Revenger! 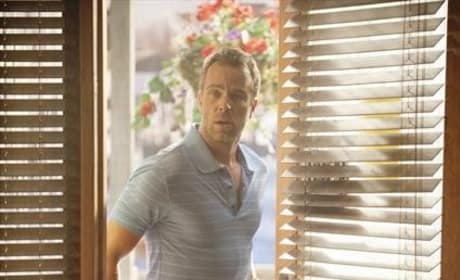 Aiden turns his back on Emily and pays the price on Revenge. 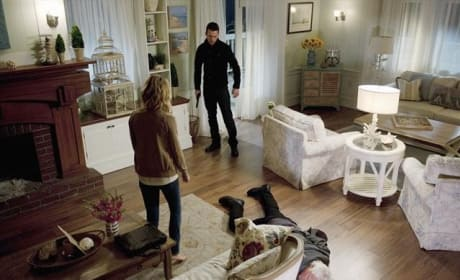 Emily and Aiden stand over the body of the just-dispatched white-haired man on Revenge. 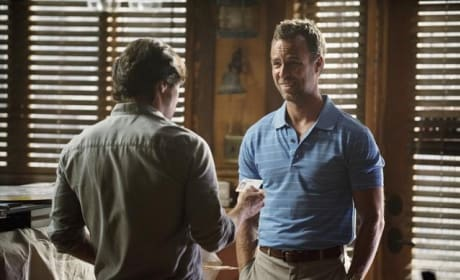 A photo from the third episode of ABC's Revenge Season 2. "Confidence" airs October 14, 2012. 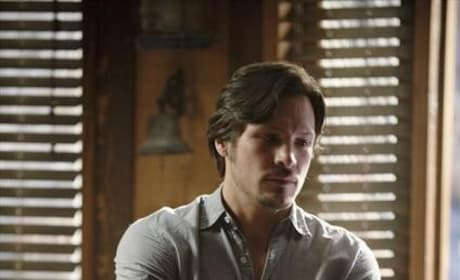 Nick Wechsler as Jack on ABC's Revenge. "Confidence" airs October 14, 2012. FauxManda (a.k.a. Amanda Clarke, a.k.a. Emily Thorne) on ABC's Revenge. "Confidence" airs October 14, 2012. Hamptons interlopers. They always come and go.